Above: Importer Katell Pleven of Vine Collective (right), with Friulian winemaker Dario Prinčič, asked me to interpret for a conversation between Dario and a leading U.S. winemaker at Vini Veri this year. I am a huge fan of Katell, her portfolio, and her mission and I was happy to help out. Every December, my soon-to-be eighty-year-old father sends a “circular” email memo to his “list serve” of ex-military-industrial-complex buddies and his children (my two brothers and me). “Don’t forget Pearl Harbor!” exhorts the subject line. Both of my parents were born in 1933 and were six years old when Germany invaded Poland. And from his midwestern perch, my father still remembers the days of the Second World War with the revisionist nostalgia of a character who could have appeared in Antonioni’s I Vinti (The Vanquished). I’m always reminded of his vacant exhortations when I talk to winemakers — not much older than me — from Gorizia. They were born long after the conclusion of the First World War but they often speak about its legacy as if it ended yesterday. 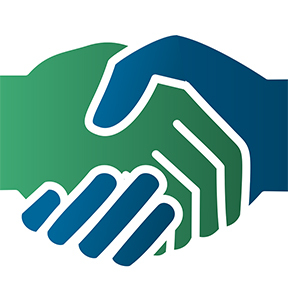 Their need to express its impact on their land and the people who farm it is far from vacant. And it bespeaks the origins of the Natural and skin-contact (orange) wine movement that straddles the Friulian-Slovenian border. 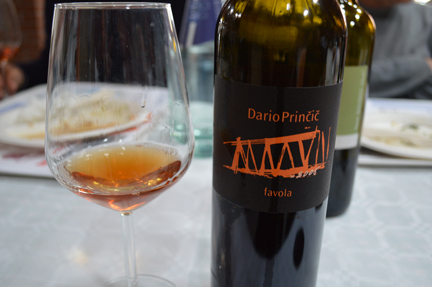 Above: “This wine is proof that I make Natural wine,” said Dario, referring to his 2008 Favola, a blend of Chardonnay, Sauvignon, Pinot Grigio, Tocai, and Ribolla Gialla. After an attack of peronospora (fungal disease), he lost roughly 90 percent of his crop because he refuses to “treat” his vineyards with chemicals. The 10 percent was delicious. 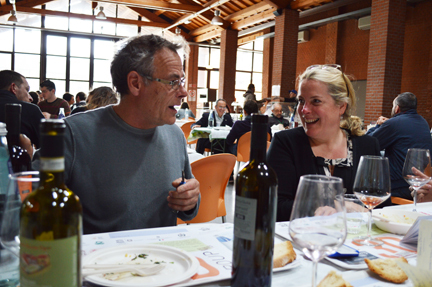 “My village was razed during the First World War,” Dario Prinčič told us over lunch at the Vini Veri fair in Cerea (Verona) this year. And this forsaken, literally scorched swath of land was virtually abandoned until Italy’s reconstruction in the 1950s in the wake of the Second World War. During our meeting at Vini Veri this year (where I interpreted for Dario and a U.S. wine writer), he talked about how this legacy informed the Natural wine movement there in the late 1980s and early 1990s when he and a small group of growers began to bottle their own fruit (instead of selling it to large commercial bottlers). The decades between the end of WWI and the end of WWII were essentially lost and the generation that came before Dario lived (if they did not flee) in a wasteland. To this day, as Dario tells it, the morbose spectre of such incomprensible devastation (Arendt’s banality of evil) shapes his will to grow grapes without the use of chemicals (he has done so since 1988). And while other growers have spoken to me about the advent of skin-contact whites (most Americans don’t realize that Italians and Slovenians don’t call their wine “orange”) as a means to reinterpret Ribolla Gialla as a tannic wine, Dario points to the nonni (grandparents) and their application of tannin as a natural anti-oxidant and preservative of wine. In my view, these wines are an expression (maybe even a Proustian trace?) of the era before the wars. To taste the freshness and bold fruit of his 2008 Favola is to touch one’s lips to a time before humankind’s inexplicable capacity for evil left its dark shadow over this beautiful landscape. When in Piedmont, do as the Piedmontese do and drink Piedmontese wine. But when I saw the 2004 Trebež by Dario Prinčič (from Oslavia, Friuli) on the list at La Libera (probably the hippest, best see-and-be-seen place to dine in Langa), I couldn’t resist. After all, it was my turn to pick the wines the Barbera 7 was going to be drinking at dinner that night. I know it’s a shame to drink a Friulian wine in Piedmont (and for our red, we drank an a killer 2006 Dolcetto di Dogliani by one of my favorite producers, Cascina Corte), but the mimetic desire created by my browsing of the list simply overwhelmed me. I had to have it. According to Divino Scrivere, the wine is a blend of Chardonnay, Pinot Grigio, and Sauvignon Blanc, obviously vinified with skin contact. (I believe that Trebež is a toponym that refers to a river by the same name, but I’m not sure.) Cloudy and practically brown in color, this is as real, natural, and orange as it gets… not for the refined palate but rather the folks who did real, groovy wines… Acid and gently astringent tannin, apricot and prune flavors, balanced by dirt and rocks. The man, Dario Prinčič, is dry and sour in person, perfectly polite, but never a smile on his face when I taste with him at Vini Veri. His wines, on the other hand, are full of joy and glorious flavor and they are among my all-time favorites. The night we ate at La Libera, I asked owner/chef Marco to feed us whatever he wanted (which is always the best way to go in any great restaurant, btw). Among other victuals, he made us a tetralogy of classic Piedmontese antipasti, including the sine qua non vitello tonnato (the photo above borders on the pornographic, no?). I love vitello tonnato and eat it whenever and wherever I know it’s good. Today, vitello tonnato is regularly made with mayonnaise but the addition of mayonnaise is a relatively recent adjustment to this recipe. In fact, the sauce prescribed by Artusi (1891) calls for tuna in olive oil, anchovies, lemon juice, and capers in vinegar. I enjoyed another excellent vitello tonnato, while Tracie P and I were in Barolo in February, at the Osteria Barolando, served on a roll of crusty bread (above).